Chad Bowers has worked extensively across the country both as local counsel for others firms and in association with various law firms on a variety of litigation. The majority of our practice arises from referrals or partnerships with other attorneys as local counsel or through pro hac vice admission in jurisdictions outside of Nevada, Utah and Idaho. Please feel free to contact our office at 702.706.1134 to arrange a local counsel relationship before sending a demand letter, negotiating a claim or otherwise engaging in the unauthorized practice of law in Nevada. 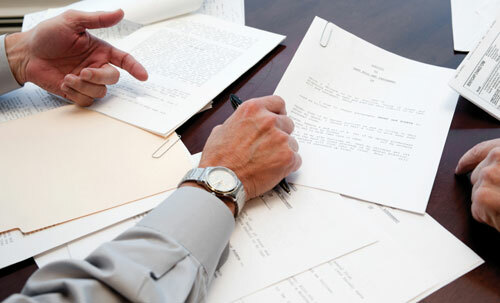 Our office has reasonable fees for such arrangements and extensive experience as local counsel so you can avoid disciplinary problems arising from Nevada's aggressive definition of practicing law without a license. In the July 2011 Nevada Bar Journal the Supreme Court of Nevada issued letters of reprimand to two different attorneys for engaging in the unauthorized practice of law in violation of Rule 5.5. (Nevada Lawyer, July 2011, p.54) Citing to authority from Nevada, Colorado, Arkansas, Kansas, Ohio and New Jersey the Nevada Supreme Court sent a clear message in reprimanding two separate attorneys, one for sending a demand letter and the other for negotiating a client's claim, when the causes of action arose in Nevada but were handled by attorneys without a license in Nevada. Historically many attorneys' send demand letters or negotiate claims arising in states where they are not licensed as a matter of course. In Nevada this is clearly no longer an option as Nevada's highest court has sent an unequivocal message that sending a demand or negotiating a settlement even pre-litigation constitutes the unauthorized practice of law. Here is a list of some of the firms we have worked with over the years. Please feel free to contact any of these lawyers as a reference.